I have recently done a disappointing makeup products post, and decided to do one including skincare as well. There isn’t much, as I don’t test and trial much skincare, but here are a few things that disappointed me. A mouthful of a name to start off with, I just didn’t get on with this product at all. The main reason being its an extremely oily formula which didn’t feel very nice to wipe my eyes with. I tried my best to like this, but I really couldn’t. The oiliness of the product just sits on the skin around your eyes and doesn’t sink in well, I felt like it wasn’t breaking down my makeup well and just sitting there instead. 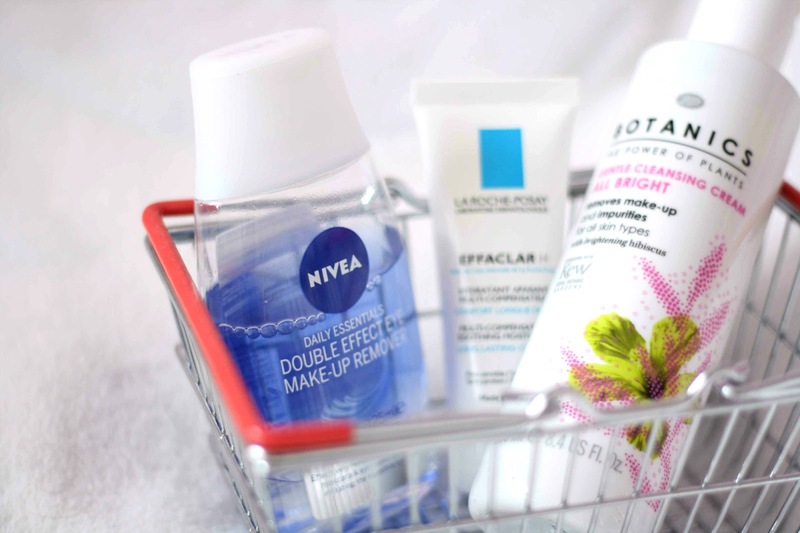 I then switched to the Garnier Micellar Water, which I absolutely love and has replaced any separate eye makeup removers I would have previously used. When I first used this, I thought it was really nice and it went on nicely, soaked into the skin quick etccc. However after using it for a few days I started to notice quite a few spots appearing across my face, especially on places where I concentrated it most on; which was on my nose and under my eye area. I am pretty sure this is to blame for it, as soon as I stopped using it they died down and no more spots appeared in that area of my face. Also the smell of this product is very strange, not very nice in my opinion. Nothing too wrong with the product, just it broke me out. You can use this product to take off any makeup, and also cleanse the skin. I tried to remove my makeup with this product, but I hated the feel it gave. It didn’t feel fresh, and I didn’t feel it fully removed my makeup well enough. I like my skin to feel fresh after cleansing or taking my makeup off, but this didn’t give me that at all. Its quite an oily texture too, which doesn’t help with my oily skin problem. I just didn’t feel this worked well to break down makeup or to make my skin feel fully cleansed at all. I haven’t touched this again, as like I said I love to use my Garnier Micellar Water. Do you have any disappointing skincare products?